Living a Fit and Full Life: Back to School Fun with Parragon Books! Back to School Fun with Parragon Books! 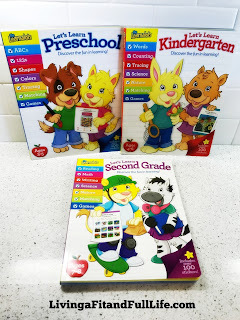 Now that school is back in session in most of the country it's time to help kids get ahead with these super fun educational books from Parragon Books! The Learnalots Let's Learn Preschool: Discover the Fun in Learning! The Learnalots Let's Learn Preschool is a fun interactive workbook for ages 3-5. This educational workbook has eight subjects, including ABCs, 123s, shapes and much more to build academic skills. The fun activities are designed to build confidence in young children and for parents and children to complete together. This book also includes over 100 reward stickers. The Learnalots will inspire your child to learn something new every day! The Learnalots Let's Learn Preschool: Discover the Fun in Learning! workbook is a blast for preschoolers. My son is in love with his new Learnalots Let's Learn Preschool workbook and loves to complete work in it. I love that it's extremely educational, yet fun at the same time. Each page is filled with learning fun that kids will enjoy. The Learnalots Let's Learn Preschool: Discover the Fun in Learning! workbook is the perfect way to help preschoolers get ahead! You can find The Learnalots Let's Learn Preschool: Discover the Fun in Learning! by Nikki Boetger on Amazon, Barnes and Noble and other bookstores. The Learnalots Let's Learn Kindergarten is a fun interactive workbook for ages 4-6. This educational workbook has eight subjects, including words, counting, tracing and much more to build academic skills. The fun activities are designed to build confidence in young children and for parents and children to complete together. This book also includes over 100 reward stickers. The Learnalots will inspire your child to learn something new every day! My 5 year old absolutely loves The Learnalots Let's Learn Kindergarten: Discover the Fun in Learning workbook! She's really getting excited about learning and if you have a child getting ready for kindergarten, this workbook is perfect. It's filled with fun learning activities that kids will enjoy. My daughter gets her workbook out every morning and is excited to learn. As a homeschooling mom I highly recommend The Learnalots Let's Learn Kindergarten: Discover the Fun in Learning workbook! You can find The Learnalots Let's Learn Kindergarten: Discover the Fun in Learning! by Nikki Boetger on Amazon, Barnes and Noble and other bookstores. The Learnalots Let's Learn Second Grade: Discover the Fun in Learning! The Learnalots Let's Learn Second Grade is a fun interactive workbook for ages 7-8. 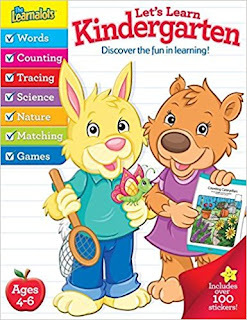 This educational workbook has eight subjects, including nature, reading, writing and much more to build academic skills. The fun activities are designed to build confidence in young children and for parents and children to complete together. This book also includes over 100 reward stickers. The Learnalots will inspire your child to learn something new every day! The Learnalots Let's Learn Second Grade: Discover the Fun in Learning! workbook is the perfect way to help kids get ahead in school. My 7 year old loves working in this workbook and I've already noticed some of the skills she's picked up from this workbook being put into action. The Learnalots Let's Learn Second Grade: Discover the Fun in Learning! workbook is extremely fun as well as educational and perfect for kids 7-8. 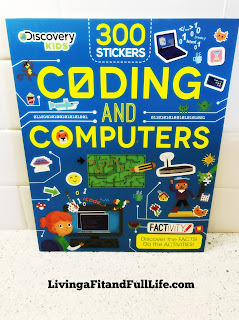 As a homeschooling mom I love how well designed this book is and that it includes over 100 reward stickers to reward kids with. The Learnalots Let's Learn Second Grade: Discover the Fun in Learning! workbook is a great way to encourage learning in your home! You can find The Learnalots Let's Learn Second Grade: Discover the Fun in Learning! by Nikki Boetger on Amazon, Barnes and Noble and other bookstores. Get Ready for Preschool Learning Pack Ages 3-5 is filled with workbooks carefully created for little learners. 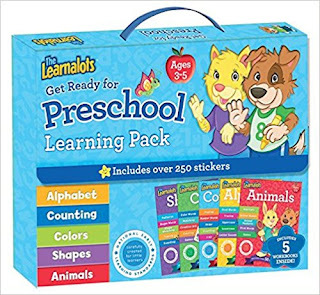 This pack includes five workbooks - Alphabet, Counting, Colors, Shapes and Animals - as well as 250 stickers to reward good work. These workbooks meet the national early learning standards, perfect for helping your little ones learn. The Get Ready for Preschool Learning Pack is extremely fun! My son loves when we use this learning pack and even brings it to me because he wants to learn. The Get Ready for Preschool Learning Pack is perfect for kids ages 3-5 and the workbooks are super fun. My son also loves the reward stickers and loves placing them on the pages that he's completed. If you have a preschooler, The Get Ready for Preschool Learning Pack is the perfect way to encourage them to learn! You can find Get Ready for Preschool Learning Pack on Amazon, Barnes and Noble and other bookstores. Get Ready for Kindergarten Learning Pack Ages 4-6 is filled with workbooks carefully created for little learners. 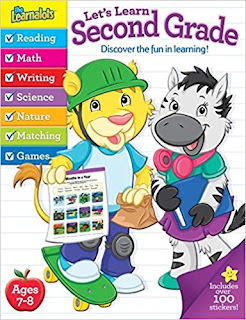 This pack includes five workbooks - Science, Social Skills, Writing, Phonics, Writing, and Math - as well as over 250 stickers to reward good work. These workbooks meet the national early learning standards perfect for helping your little ones learn. 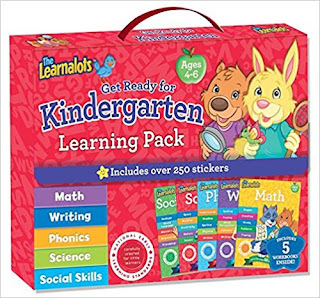 The Get Ready for Kindergarten Learning Pack is perfect for kids ages 4-6 and will surely help prepare your child for kindergarten. This pack includes five workbooks - Science, Social Skills, Writing, Phonics, Writing, and Math that will surely get them started on their learning journey. I also love that it includes over 250 stickers to reward good work which is the perfect way to encourage learning. 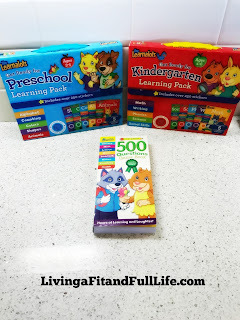 Get Ready for Kindergarten Learning Pack is a super fun way to help prepare little ones for kindergarten. You can find Get Ready for Kindergarten Learning Pack on Amazon, Barnes and Noble and other bookstores. 300 stickers to get you coding and creating your own computer world! Have you ever wondered whats inside a computer, or how your app or game is made? How do we put simple instructions together to tell a computer what to do? Get coding and discover the fact-packed world of technology, with activities, puzzles and mazes to keep you plugged in. Coding and Computers by Parragon Books is the perfect way to get kids excited about coding and creating their own computer world! Coding and Computers by Parragon Books includes activities, puzzles and mazes to keep kids plugged in and engaged. 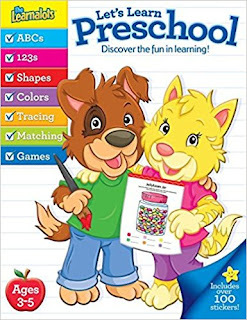 It's filled with fun facts and over 300 stickers that kids will love. Coding and Computers by Parragon Books is a terrific way to get kids excited about coding and will surely keep them entertained! 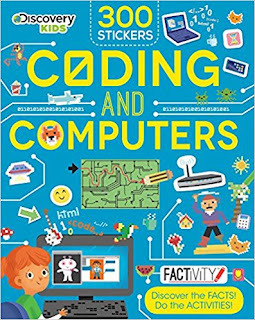 You can find Coding and Computers by Parragon Books Ltd on Amazon, Barnes and Noble and other bookstores.